The primary reason why most businesses prefer to use a responsive web design is that it helps the site to fit in with any devices or varying viewports sizes used by its customers. So, when you opt for responsive web design, your site becomes adaptable so that your users can enjoy your website at its best on whichever platform they choose to use. This means that your customers can experience faster loading at the right size to view your site optimally. Over the past decade, users have opted for various devices to do their purchasing, and therefore the importance of responsive website design has become more of a necessity. To keep up with the constant changes occurring in technology and other devices, your site needs to be adaptable so that it can be accessed on any device without having to resize. Hence, those companies who don’t intend to invest in creating a responsive web design are losing out on potential customers as they are not able to access the website regularly. More than half of online customers prefer to use a mobile device as the primary method to browse products and make purchasing decisions. With this being the latest trend, it’s necessary that your site must be adequately accessible on mobile devices or platforms without the customer having to resize the elements to endure delayed loading time. When users undergo these frustrations, they mostly prefer opting out of using your mobile site. One might conclude that they can instead choose to implement a mobile version of the site for users to have easy access, but responsive design is still more preferable as it offers greater flexibility and at a lower overall cost. (In 2017, global mobile traffic share were estimated at 52.64%). Creating and developing one adaptable website using responsive design is quicker and cheaper than building separate versions for smartphones, tablets, and desktops. Choosing one flexible website is more of a cost-effective option. Creating a responsive website might require huge investing at first, but in the longer run, it will assist you in maintaining only one website instead of two. As already mentioned-above, maintaining one responsive website is cheaper when compared to supporting a desktop and mobile version separately. This process helps the team to promote your website in a much simpler and quicker way. Therefore, this allows you to focus on the other essential aspects of your business. One simple reason why users get annoyed and leave your site is that of slow loading time. If your website isn’t designed to support mobile users and if it consumes a long loading time, they will opt out of the site, and it will result affect your business. Hence, a responsive site that is optimized for mobile use helps to resolve this issue and ensures that your users experience quick loading time. The last thing you want your users to experience is a sub-optimal layout design or to have them navigate to different mobile-friendly versions of your site. Added to this, if the user faces downtime and slow loading time on your mobile sites, then things can go from bad to worse. So, if you have a website that is not optimized for mobile users, it will drive your customers towards your competition. 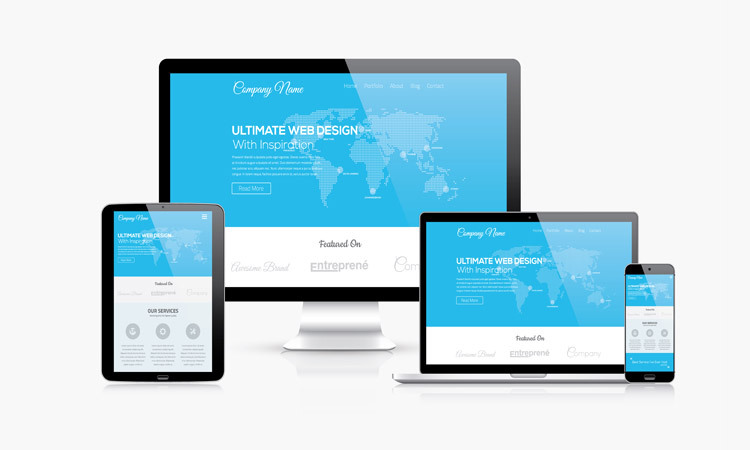 Therefore, it’s best that you have a sleek and responsive site that works seamlessly on any device so that it creates the best impression and allow the user actually to make a purchase. (According to surveys, 57% of the internet users have said that they won’t recommend a business that has reduced website design on mobile). One of the essential things for a website is Analytics. It provides you more information about how users are using your site and whether the site is fulfilling the goals you have laid down for your business. However, if you have a separate mobile version of your site, it means you should run analytics on both your sites. This entire process can be long-winded and time-consuming. Hence this is the reason why most people prefer to have a responsive website in place which is much simpler and quicker to monitor, saving you both time and money. Most of the customers’ first experience you as a company through your website, and you’ll want to ensure that this initial impression is as professional and seamless as it can get. For your customers to form a favorable opinion of your business, you need to ensure that your site can automatically optimize to suit your user’s devices and that the site can load quickly and efficiently. If you can execute this process to its fullest, then it will increase the likelihood of your users becoming your loyal customers. You should ensure that your website works in your favor when it comes to SEO. Only when the SEO works in your favor, can your business pop up on top of the search results when potential customers search for keywords relating to your business. There are various reasons why responsive sites are better for your SEO ranking because they tend to provide higher user satisfaction and therefore ultimately lower bounce rates. The chances of your website getting lower SEO ranking are more when you have a mobile version of your site, where the content is duplicated across two versions. New mobile devices are being released now and then, and soon it has pretty much become a mainstream. As manufacturers are developing and releasing more modern versions, your website will need to be adaptable to these new technological advances at all times. Hence responsive website will assist your site to be able to cope with whatever future technology throws at you. So that now you have a clear overview of the importance of implementing a responsive website design, if you’re thinking of a redesign for your existing business, then it’s time you get in touch with our team of professionals at eDigitalMarketingCompany. We will help you with all aspects of designing and maintaining responsive websites to give your customers a seamless experience and promote your business to grow. 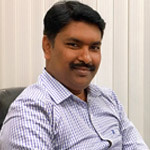 Ravi Kumar is a senior digital marketing expert who has 15+ years of rich experience in the digital marketing industry. He specializes in handling end-to-end digital marketing services for the local, national, and international websites. He is well experienced in executing robust SEO strategies to rank the most competitive keywords globally. His expertise also includes strategizing User Interface (UI), User Experience (UX) and backend development. He’s a successful consultant with an MBA degree in Information Technology (IT) and also additionally certified with ITIL and PRINCE2.